OLD PARKED CARS. 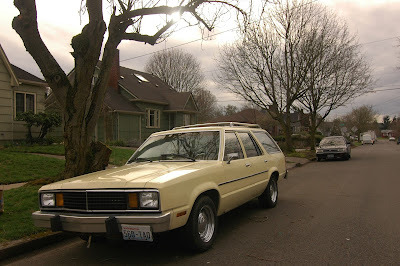 : 1979 Ford Fairmont Wagon. The sticker makes me so happy. T1 is BMX company out of Austin. perfect on this ride. I want to meet the guy who drives this car and ride some trails with him. I appreciate this CC, but when did people start thinking these were cool cars? it just took this long for elegance of the fairmont/zephyr wagons' understated styling to reveal itself. not that they look robust in any way. i wonder if they're easy to keep running. spill the beans, ben -- did you ride bikes with the owner of this car? such as break parts bearings etc. In fact, these cars used the 4-hole Pinto rims! that everything except the LTD II and the Crown Vic would somehow fit on these cars. If any US car could be universal, this was it! Late 70s depression. Not too much of a choice in this field, Plymouth Volare/ Dodge Aspen Wagon, or AMC Concorde wagon . The Chevrolet nova did not offer a wagon. Actually as I write this maybe the AMC with their updated Hornet--(The Concorde), in my opinion would've probably been the best choice. 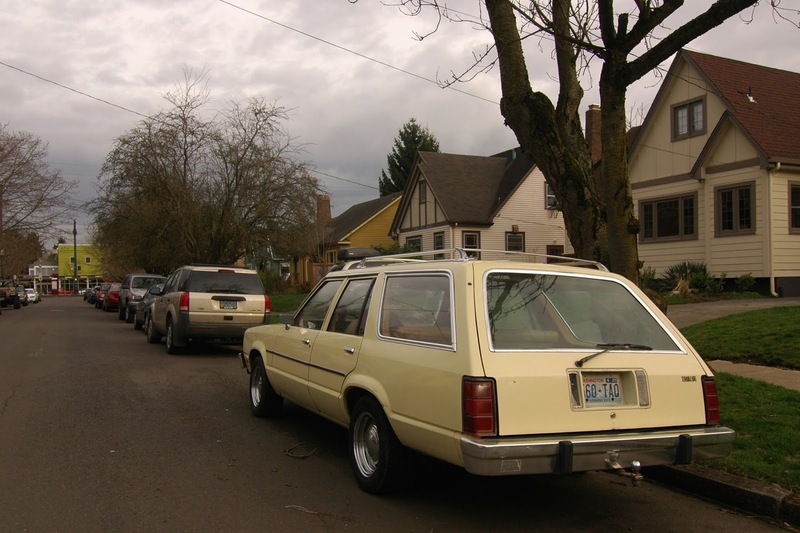 I never liked the Fairmont wagons, at least at the time when they were taken for granted. I have to admit though, when the LTD took over this body by the mid-80s it did look more sharper. I had two of these. Easier to work on than anything that came later but not the "Simple Machine" that the old Maverick was. My Fairmont was a total stripper, didn't have a day/night mirror or even a light switch for the passenger door! 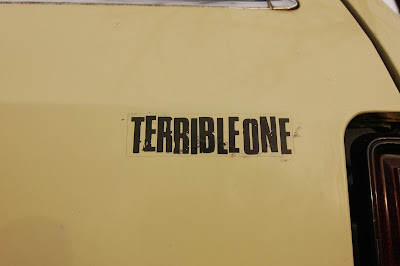 Most vivid memory- changing the heater core, a multi-day project involving a Sawzall, much profanity and a whole lot of beer. Oh, and don't bother looking for the horn in an emergency, it's hidden on the turn signal stalk! Still a couple of good cars though. I love straight-forward simple cars....but these things were ridiculous! -not because of their simplicity- but rather, in spite of it! They aged REALLY fast, because they were tinny and cheaply made- if you rode in one that just a couple of years old, it felt like you were in a 20 year-old car, but with none of the character of a 20 year-old car. I really feel sorry for the guy who has to drive this thing. The Nova of the same vintage and the Aspen wer just as bad/worse! This was Detroit at it's lowest point. I think I'd even rather drive a Renault or Fiat! And an Audi Fox was like a freaking Rolls compared to these things! Not everything about the good old days was good- but it was fun making fun of some of these cars, which ya'd see everywhere! just wanted to shoot it. I was able to show how to start this car without flooding it. released it here. What a piece of crap! 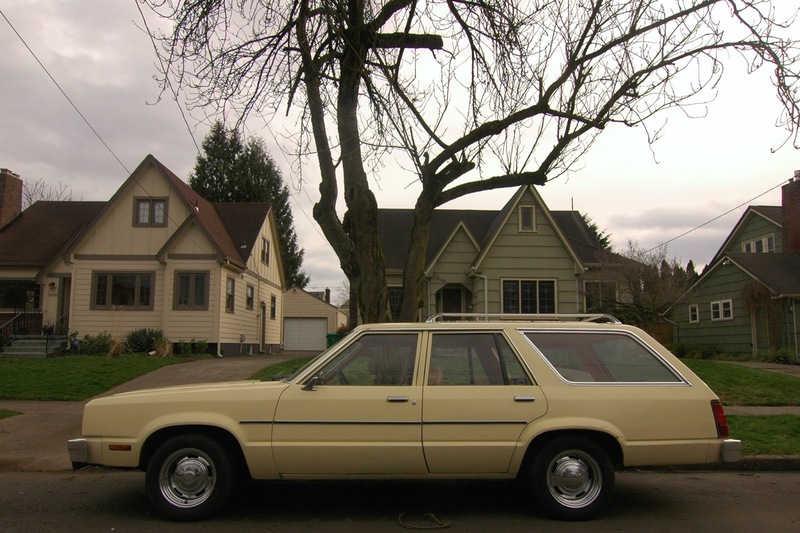 The Fairmont/Zephyr really is the American Lada. This one looks pretty good with those moon wheels, they kind of remind me of the Chevrolet rallye wheels. Hey first anon, who are you!? And to Tony, I have no idea who lives here, but I may go knock one day when I have more time. The 1978 Fairmonts, Futuras, and Zephyrs heralded the era of the Fox platform, which existed in modified form until the 2004 Mustang! These Fairmonts were painfully plain and most featured Ford's inline six cylinder. The interiors were uglier than the exterior (believe it or not); the door panels were the plainest that I've ever seen. My friend's parents owned a 1979 Dodge Aspen that was ten-times the car in respect to interior quality, ride, and quietness. Only when compared with the Fairmont could the words "quality" and "Aspen" be used in the same sentence.